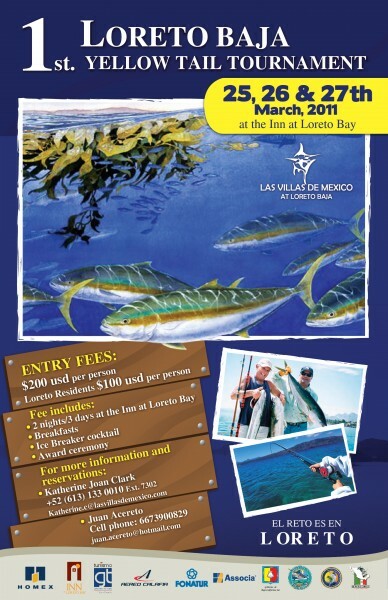 Time to get your fish on! 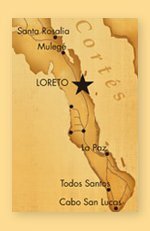 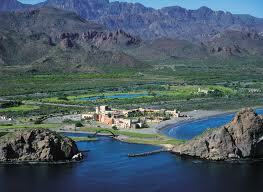 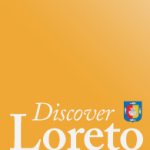 The first ever Yellowtail Tournament will be hosted by the Inn at Loreto Bay from March 25 – 27, 2011. Over $7,000 USD in prizes are up for grabs, including cash, fishing packages, and even Homex property discounts. 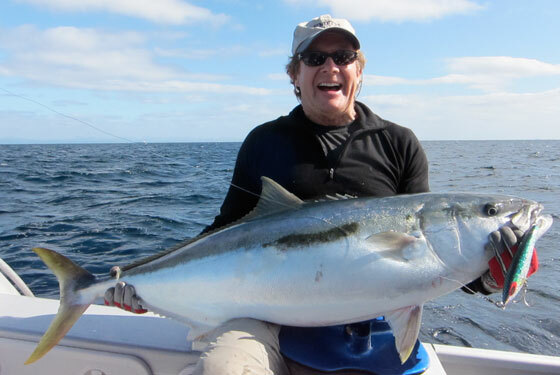 Species covered by this offshore event include: Yellowtail, Roosterfish, Cabrilla and Snapper. For more information and reservations, contact Katherine Joan Clark, +52(613) 133 0010 ext. 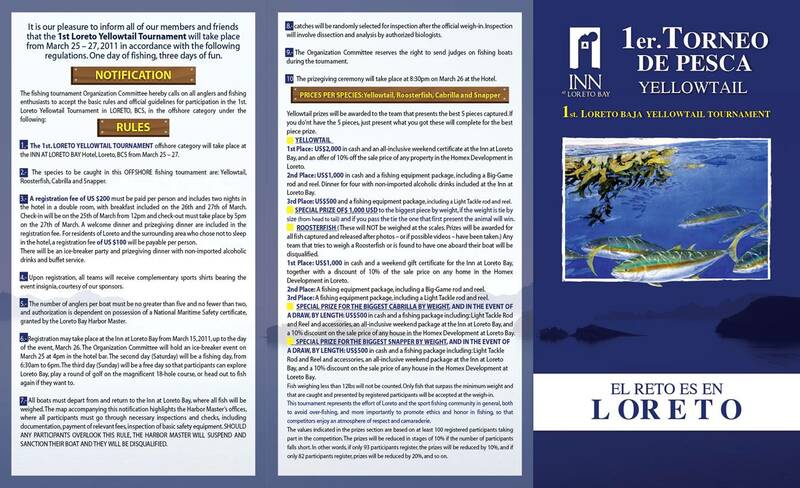 7302, katherine.c@lasvillasdemexico.com OR Juan Acereto cell: 6673900829, juan.acereto@hotmail.com.